Britain’s first diplomatic representation in Latvia was a legation established in 1921. The Foreign Office leased two houses for the minister and consul at 71 and 73 Valdemar Street but by the end of the decade they had proved inconvenient and too small. 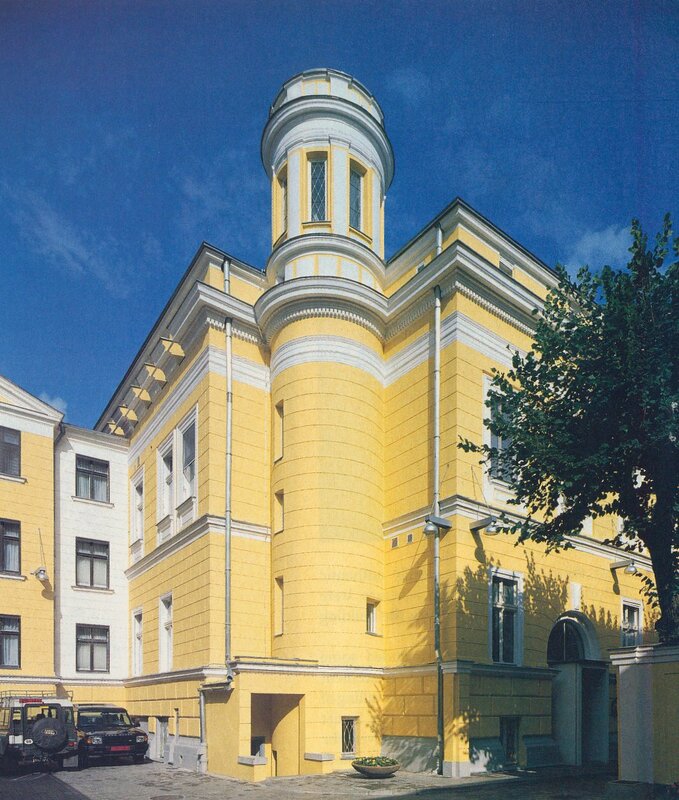 In 1930, the Office of Works bought a house, on a site of about 1,500 square metres, at 5 Jura Alunana Street, on the corner with Andreja Pumpura Street, in the Petrograd suburb, for £8,000 from Peter Bornholdt. The house was built in 1876 by a Riga merchant, Karl Janssen, to the designs of the Baltic German architect Heinrich Karl Scheel in a fast-growing area of the town where the Riga fortress walls had recently been demolished. The neo-classical corner house was of two main floors, with cellar and an attic for domestic staff, and there was a small mews house in the back corner of the site. In 1905 the property was bought by Peter Bornholdt, another merchant. 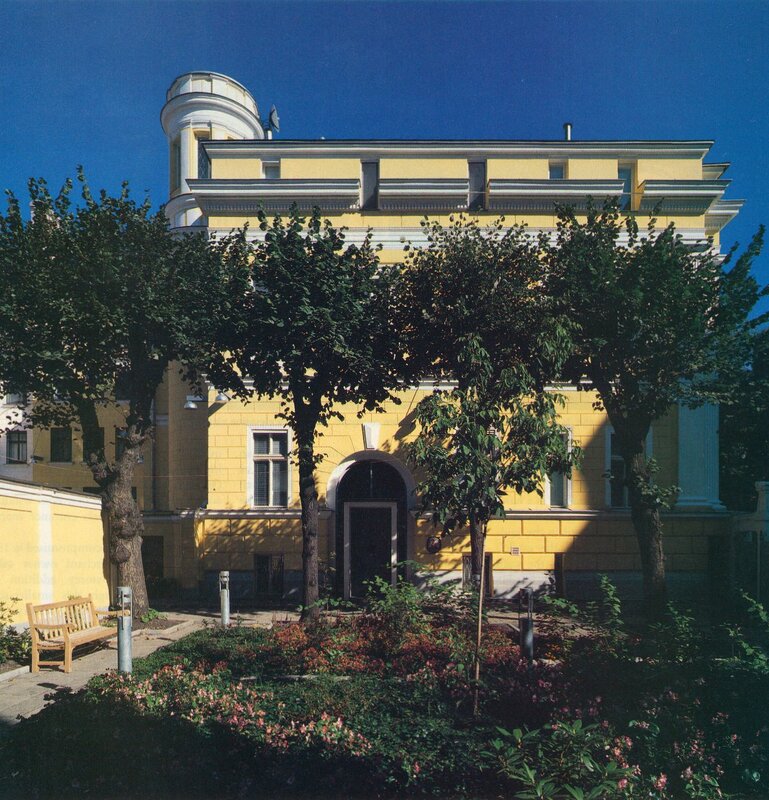 After the Office of Works bought it from him in 1930, it spent a further £9,000 on building a small three storey in-fill block on the Andreja Pumpura frontage, and replacing the spiral stair in the main house with a straight one. The legation was withdrawn in 1940, and early efforts to sell the property were unsuccessful before the Soviet Government took over the building for some of its administrative institutions and, in particular, from the 1960s, the executive committee of the Council of Peoples’ Deputies of Kirov District. The Foreign Office lodged a claim in 1972 for £60,343 for loss of use of the property from 1944 to 1972: £14,276 was received, and the balance was written off by the Treasury at the end of 1973. 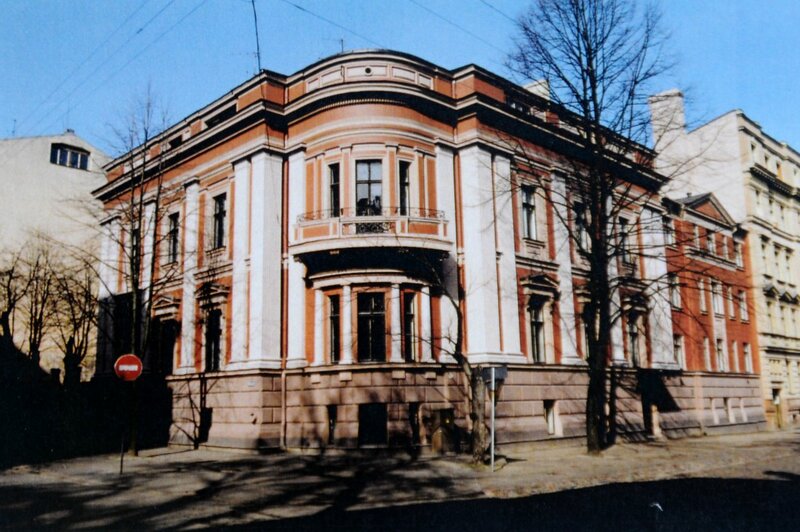 Soon after Latvia’s recovery of its independence in 1991, its government offered to return the building to the British government. 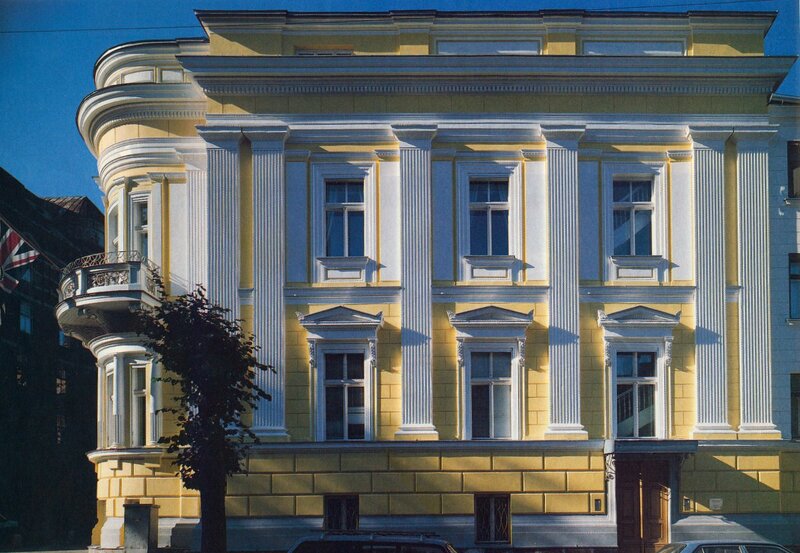 The embassy first established itself on the third floor of The White House at Elizabetes Ilea 2, and remained there until the thorough refurbishment of Alunana 5 had been completed in 1996. That project was in two parts: the first, completed by the end of 1992, was refurbishing the outbuildings to provide flats for the staff and the second, which started on site in 1994, was significant restoration and insertion work on the main house to produce offices on the ground floor and in the basement, and the residence on the first floor. The architects (and project managers) for this work were Jestico and Whiles: their approach was strikingly thoughtful and the result a great success. View of the corner from the east, pre-restoration, 1991. Main entrance, viewed from the garden courtyard, 1997. Frontage to Andreja Pumpura Street, 1997. Staircase tower at the west corner, 1997.